This has been a very full day. 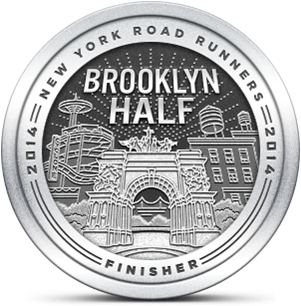 So full in fact, that I can barely recall the details of this morning's run. My wife and son had planned an early venture into the city while my daughter and I had other plans. I headed out for a neighborhood run before 7:00 AM with a target of covering at least 5 miles. What I can remember about my workout was the ideal weather for a July run - overcast sky, relatively cool temperature and moderate humidity. I try to do at least one run outside of my neighborhood every weekend. Due to time constraints, I had to settle for my local roads. I criss-crossed a number of different streets to keep things interesting and threw in some fartleks every mile because the cool conditions were so energizing. At one point in the day, I stopped into SA Elite which was near the place where we had lunch. 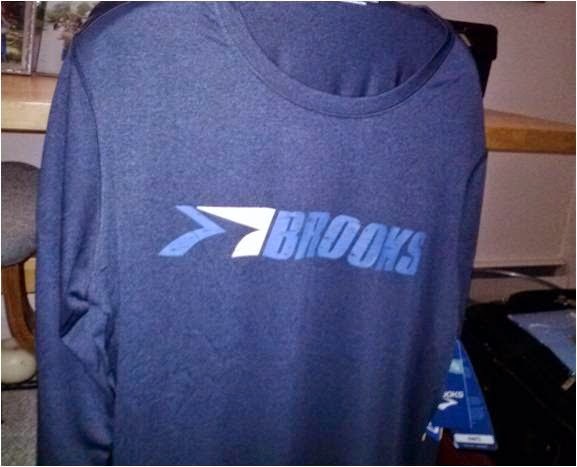 I can't resist a good bargain and found a lightweight Brooks long sleeve running shirt with an appealing old school graphic. It was $25 with discounts applied. I know I'll get a lot of use out of it. It was a great day and another good weekend of running. I may try to do a treadmill run Tuesday morning to get back into at least a 4 x per week running schedule. That would help me get closer to my weekly targeted volume.